What a lovely week we have had, I have finished reading two books this week sitting out in the sunshine. it's beautiful again this morning but there was a frost earlier and it's degrees cooler, think I will be crafting inside not sitting outside today. My image is from Becky's Place coloured with Copics, the gingham paper is from my stash and I added some ribbon and sentiment. Hope you can join in with our challenge this week and hop over and see the inspiration from the Design Team. 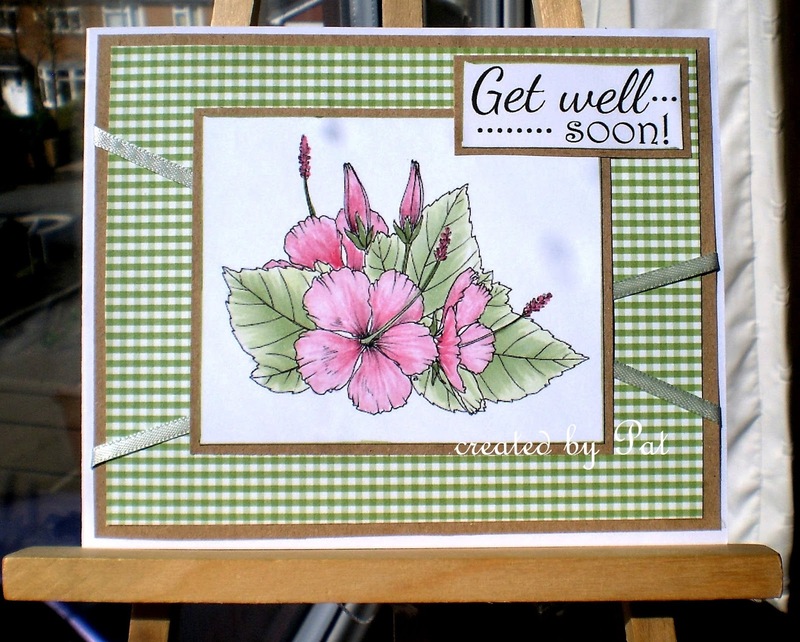 Pretty get well card with a beautiful image Pat! Sounds like my idea of a good week too- sitting in the garden, reading- how lovely! What a pretty card - I know someone will really appreciate receiving it. I love to read and always have a book going. As always a super creation Pat. Hope you have a good Sunday. 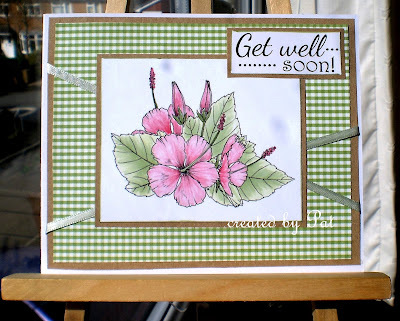 Another lovely card, Pat, such a gorgeous image!